Eisspeedway Journal: IN STEP FROM THE PLAY-OFF. 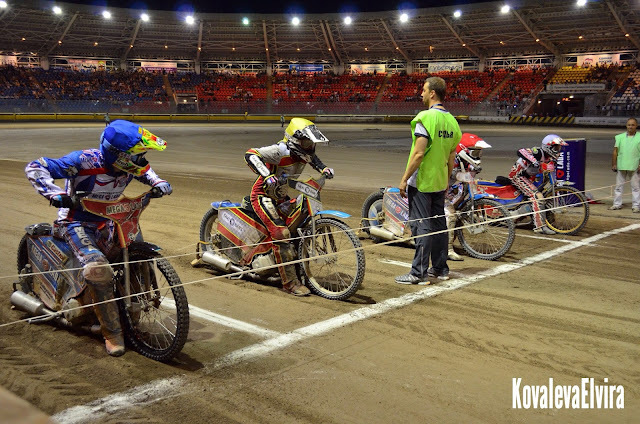 Togliatti "Mega-Lada" has consolidated leadership in the Russian team championship in speedway. August 3 at the STC them. Anatoly Stepanov in the next race of the Russian team championship in speedway athletes SK "Mega-Lada" under the leadership of head coach Oleg Kurguskin won the fifth consecutive victory over rivals. This time Togliatti took over the guests from the city of Octyabrsky with a score of 56:36. Against the background of previous crushing victories in the races with the "Vostok" and "Turbine" the result of the last meeting does not look as convincing as it could have been. But there are a number of reasons for this. First of all, the injured leader of the season Renat Gafurov fell out of the Mega-Lada clip. As the sportsman admitted, the bruise of the shoulder did not give him the opportunity to do his utmost: the driver could only drive two runs, after which he gave his place on the grid to reserve riders-juniors Roman Lakhbaum and Gleb Chugunov. Also, on August 3, Artem Laguta did not fully perform. Nevertheless, Togliatti won with a good margin and were finally entrenched as leaders of KCR-2017. Of course, there is still an exit race with SK Oktyabrsky, which will be held on August 10. But it is unlikely to change the situation: in the playoffs, "Mega-Lada" will enter the top of the standings to compete for the gold medals of the championship with the Balakovo "Turbine". For the upcoming fight for the champion title, the drivers of the Togliatti team are fit with all responsibility. Renat Gafurov, for example, does not rule out that "Turbine" can present "Mega-Lade" an unexpected surprise: "It is necessary to recover and go to the playoffs in good shape, and also to bring engines for repairs. I guess that "Turbine", with which, judging by everything, we will fight for the championship, for certain can take advantage of such a tactical move as an invitation to a legionary. Everything is possible. Especially in the finals points are considered anew, so it can be hard. " And the captain of "Mega-Lada" Andrei Kudryashov is determined to fight resolutely: "The equator of the season is over. Ahead of the decisive race: the playoffs of the Russian team championship, the final of the personal championship of Russia, where you also need to show yourself with the best hand. Since the Polish league ended and there will be no race there, all my good fresh engines will be transported from Poland here. I plan to finish the season on the best technique that I will have. "